THE EPICENTER OF A NEW WINTER SPORT. "In the fall of 2008 2Moto asked us to literally create a new sport, using a new-fangled thing that they created called a snow bike. Flashpoint, the world's first-ever snow bike race happened at the McCall, Idaho Golf Course in January of 2009. Today, the snow bike industry is on fire and many, many people are looking for the challenge of racing a new kind of machine. This is a shared effort, between industry manufacturers, avid motorcyclists, and venues who support winter, motorized activities has resulted in the AMA Championship Snow Bike Series winter motorcycle racing. 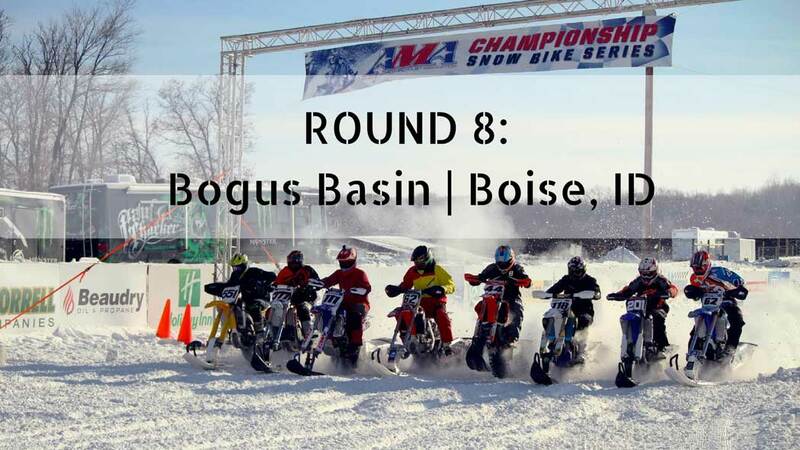 Last year this was the first motorized event ever held at Bogus in their 64 year history. Bogus is located 16 miles from downtown Boise at 6,000 feet. At a nearly 3 mile track, racers raved about last year’s course. It is the longest course of the year and features over 400 feet of climbing per lap. HOST HOTEL: Pioneer Condos, (only 50 feet from race track!) Bogus is offering a special, racer price on their one-bedroom condos for $149 per night plus a $58 cleaning fee, and one of these units will sleep 6 to 8 people. The rates will be different on their website, so to get this special price, call the reservation line directly at (208) 332- 5200. If you do not get an answer, please leave a message. BE A RACER: If you want to race, you WILL need to be an AMA member. You can get an annual membership at the event for $49 or a weekend membership for $20 see www.snowbikeseries.com for more details on signing up. Entry fees: $35 per class, kids ($25). Tickets will be available for purchase at the event.